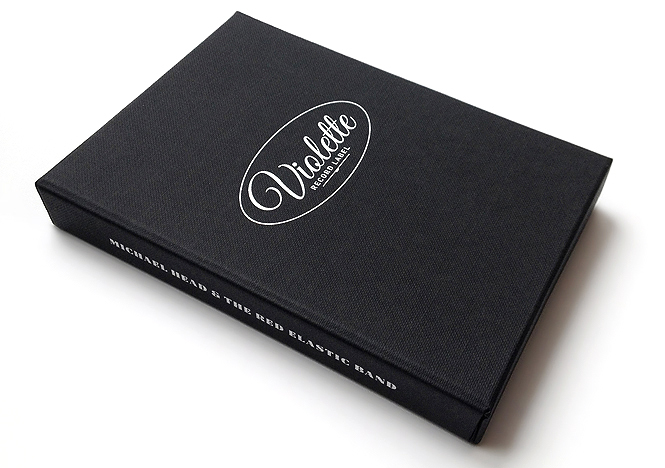 Violette Records is the exclusive home to Michael Head & The Red Elastic Band. 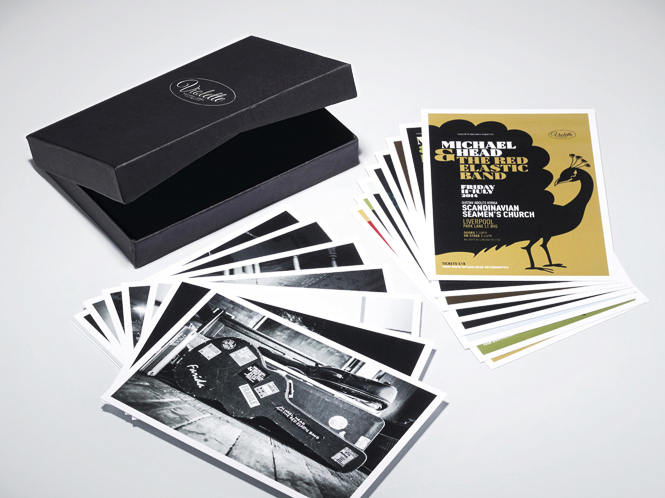 The label measures itself on the unique quality of all its output paying particular attention to its visual presentation and design. 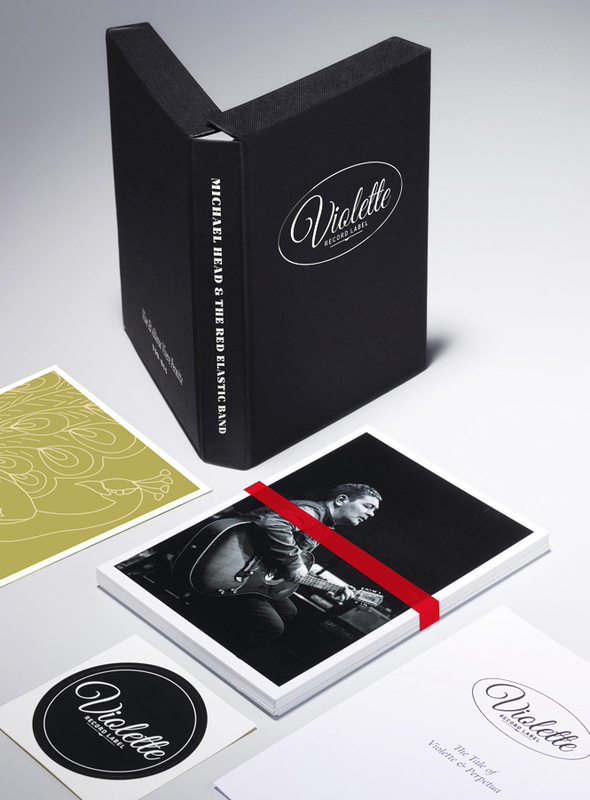 I am the label designer and I celebrate achievements to date in curating The Violette Box: a collection of the label’s designs and photography on assorted media appropriately bound with a red elastic band and lovingly presented. The Violette Box contains: The Tale of Violette & Perpetua, 17 postcards photographies, 8 postcard facsimile posters, stickers of Violette & Perpetua and a Perpetua enamel badge.